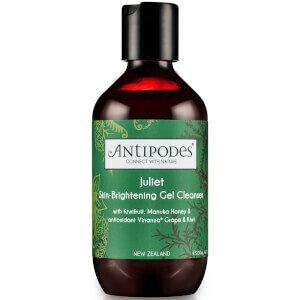 Apply in the evening to clean skin by caressing into your face and neck. 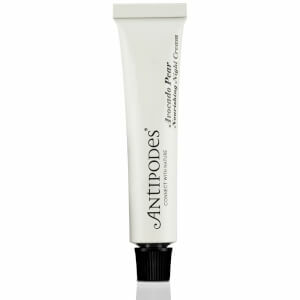 For a super restorative effect, use Antipodes Divine Face Oil first. This night cream is by far the best I've tried in a long time. I was up with dewy fresh skin - feeling refreshed and hydrated. Life-changing night cream. A night cream that is better than botox!! I love this night cream ! I wake up with a skin that is so smooth and silky. Amazing stuff! 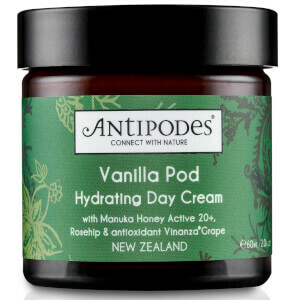 Well done Antipodes ! love this brand. Best Night Cream I have ever used. I was never a fan of night cream until I tried this Avocado night cream. It makes my skin feels so healthy and soft in the morning, and for my oily skin type, I have been waking up with a perfectly oil balanced skin (which isn't easy to achieve). It's not just a moisturizer which just keeps your skin hydrated, it's like an anti-ageing overnight treatment. I got it as a night treatement as it said it works on blemishes, however having combination skin ( and I wouldn't say it's very oily) I find it staying sticky on my face for a long time. it's probably a good product, but I won't be buying another jar. 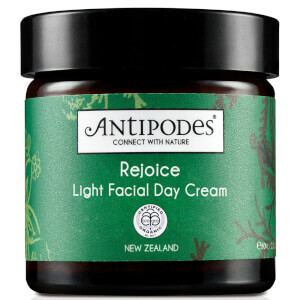 I buy this cream for my mum who is just entering her fifties, and she loves it. She says it makes all her shallow wrinkles disappear and plumps and hydrates her skin. Also, the smell is interesting,it is not sweet at all, just smells kind of like a forest :) she recommends it! But mind you, it is a heavy cream so if you have combination or acne-prone skin, it could do some damage to your face. Bought this on a whim to try out as I wanted to switch to more natural skincare. Firstly, it smells divine. It feels so nice on the skin, and when I wake up the next morning my skin feels soft and refreshed. I use this after the pai rosehip oil and it’s a winning combination for me. Highly recommend! Thick, rich and nourishing. Perfect for my dry skin. I love it! Love the lovely smell of this cream, leaves your skin feeling really soft in the morning, l think it would suit a dry skin best.